Food blogger Felicity Spector goes behind the scenes, or the front doors, of two local food businesses in Hackney, Roasting Shed and Newton and Pott. Both businesses that have been started from scratch in the kitchens, gardens and living rooms of these budding entrepreneurs. Felicity Spector has worked in national television journalism for nearly thirty years, but has now combined her day job with an increasing interest in food writing in her spare time. 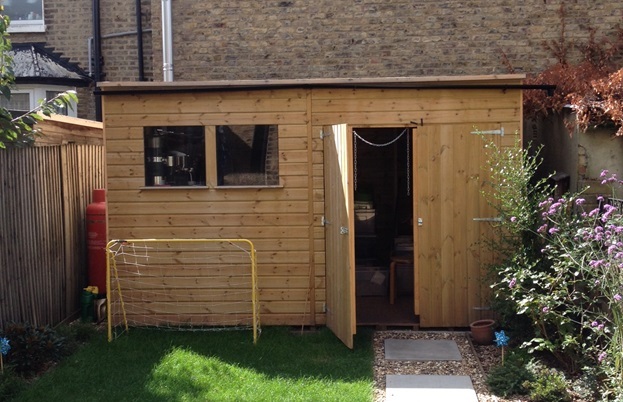 In an ordinary terraced house in Hackney, there is a rather special garden shed. This is the Roasting Shed - a small batch coffee roastery founded by Ricardo Restrepo - whose family farmed coffee in the lush hills of Quindio in Colombia. Together with Neil Coyle, qualified barista and coffee roaster, they source beans, import them, and carefully roast them to order, all from a humble garden shed. Esther Booth leads me through their house, where bags of raw green coffee beans are stacked up in the lounge, to where it all happens. "It all got too big to fit inside the original shed", she says, "so we've now got a slightly bigger one". It's still a tight fit, but cleverly designed. Ricardo talks me through the process, firing up the roaster and monitoring the exact temperature via a digital linkup. Everything is done with precision, to extract the right flavour and caramelisation without burning the beans. He pulls out little scoops to check the colour: the beans gradually darkening from khaki to rich, conker-brown, the heat constantly checked and adjusted. The Roasting Shed sell bags of beans to local cafes and businesses; with her design background, Esther has a range of contacts in a trade where companies are willing to invest in good coffee for their staff. It's also allowed her to oversee the branding and packaging, stamping every retail pack of coffee by hand. "Our aim is simple: to improve coffee at work", she says. "Great coffee isn't that expensive, it doesn't have to be a luxury you leave the office for, it isn't complicated. 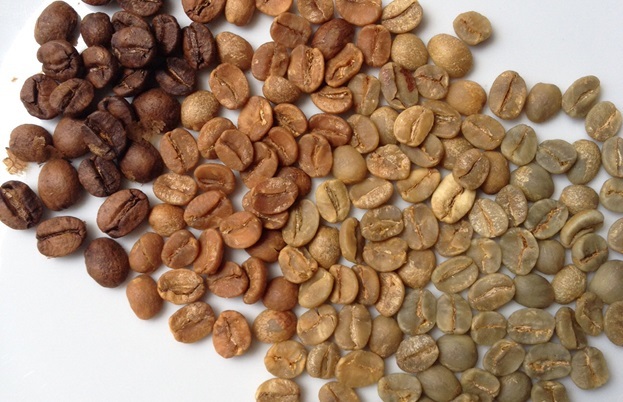 The face of coffee at work is changing, and we hope to be leading that change." It's an expanding business, and the very definition of a cottage industry. One started in a living room, then a shed: now shortlisted for a Young British Foodie award. Not far away in another Hackney kitchen, Kylee Newton is cooking up chutneys and jams which have won so much acclaim, they're now being stocked in Selfridges. 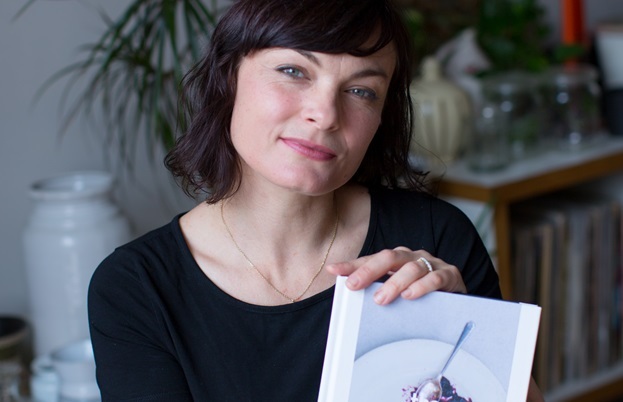 A native New Zealander, Kylee worked as a fashion photography stylist, making preserves in her spare time. It soon became her life. "I wanted to make something handmade and local, something that made people feel like they were sitting in the kitchen with their grandmother". 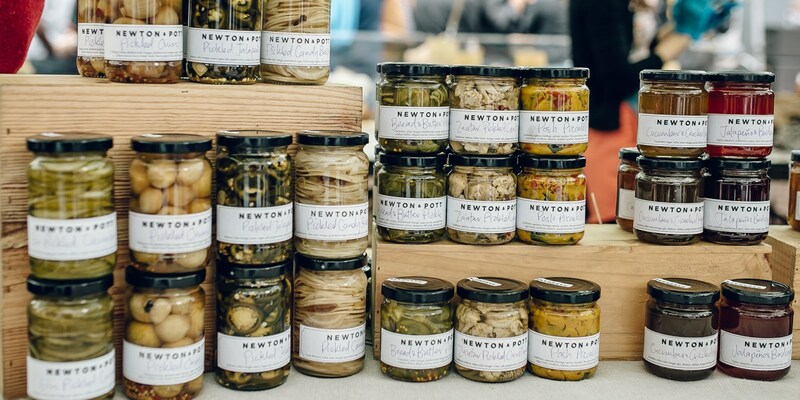 At the moment, Newton and Pott is still relatively small scale: every batch is between 8-20 jars, which maintains the hand-crafted quality. But Kylee says she's now looking for larger premises, possibly a small shop or a café where she can teach preserving skills. Now that Selfridges has started promoting her as part of their "Meet the Makers" scheme which champions small producers, the next level beckons. Running a business, even one as successful as this, is still a struggle: especially, she says, when she doesn't have the financial resources to throw money at equipment and PR. Yet somehow she's found time to write a book, The Modern Preserver: "I basically have had no social life for the past year and a half. It's easy to lose motivation when things don't seem to be working but I find persistence usually prevails!" And she's excited to spread the word about preserving the seasons and experimenting with flavours. "Chutney is not just for a Christmas cheese board, and jam is not just for toast. I want to show people how to use it in everyday meals". 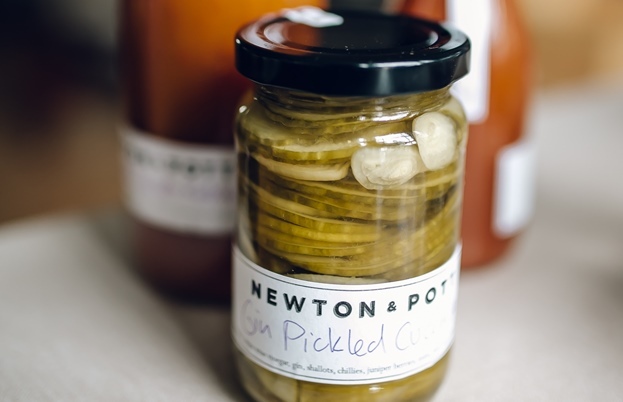 With flavours like feijoa chutney, gin pickled cucumber and strawberry Pimms jam - Newton and Pott is clearly anything but everyday. And like the Roasting Shed: extraordinary things are being cooked up, behind an ordinary looking Hackney front door.